Find that your smartphone always needs extra juice? Well, HTC's new gadget could be the answer to your charging woes. 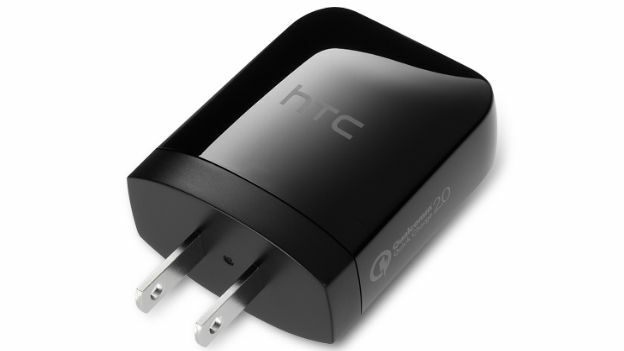 HTC has announced its new Rapid Charger 2.0, a handy bit of tech that's able to charge select devices 40% faster than a regular charger would. While the Rapid Charger works with any micro USB-charging handset, only certain models which have Qualcomm's Quick Charge 2.0 technology on board will reap the full benefits. That includes some of HTC's latest phones like the HTC One M8, HTC One E8, HTC One Remix, HTC One M8 Harmon Kardon Edition, and HTC Desire Eye. According to HTC, the Rapid Charger can reportedly boost the smartphone's battery by another 8 hours after a flash 15 minute charge. Its a feat that's already been achieved by the Motorola Turbo Charger, a similar device unveiled a while back that takes advantage of the same Qualcomm Quick Charge 2.0 tech to give phones like the Google Nexus 6 and Motorola Droid Turbo a rapid power boost. The Rapid Charger is certainly a very useful accessory for those with power-guzzling devices that are never fully satisfied with just the one charge a day. This way you can just plug it in and give it a quick boost here and there so you're always topped up, without having to sit and wait around for hours on end for it to reach full capacity. HTC has yet to announce a price or release date for the Rapid Charger, although it's already listed on the HTC website so it probably won't be long until its in stores.